It is a timeless light which was designed by the well-known interior designer and industrial designer Rolf Heide for the lighting manufacturer Anta. The floor lamp Para has an elegant and classic design and can be integrated into a number of modern interior design styles without any problems. It acts as the perfect reading light and as indirect ambient lighting with a warm light at the same time. 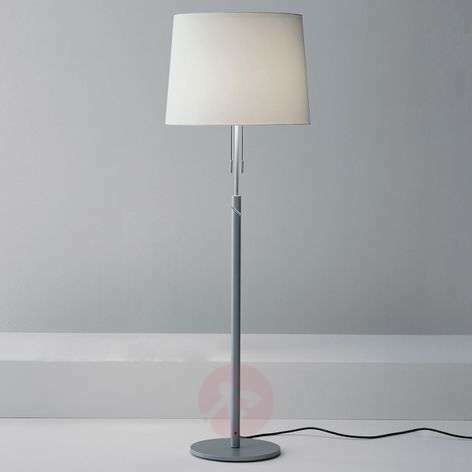 The floor lamp Para has a silk lampshade which is covered with a metal panel at the top. Inside the lampshade, there are two replaceable light bulbs which can be operated separately by means of a pull switch. 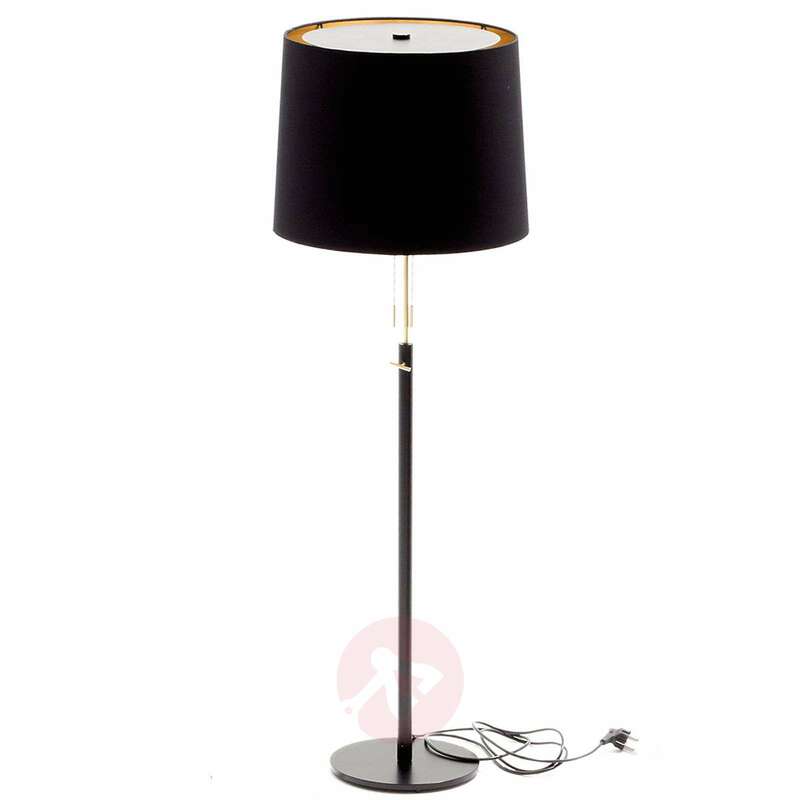 This allows the light intensity of the floor lamp to be conveniently adjusted. 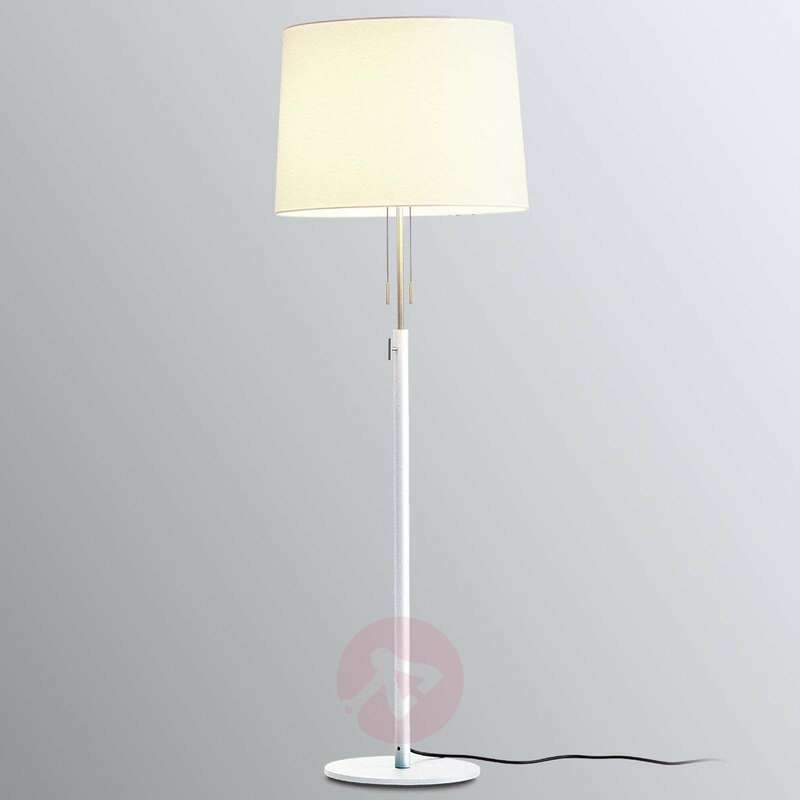 The height of the floor lamp Para can also be altered by a toggle on the light frame. This makes it easy for you to adjust the floor lamp perfectly to a sofa at home or your favourite arm chair. The north German light manufacturer Anta produces its lights in its own factory. This factory produces first-class designer lights with an unmistakeable character which perfectly blend in to any interior design. Anta is now one of the leading European manufacturers of designer lights with lights designed by well-known designers and developed in collaboration with the designers.